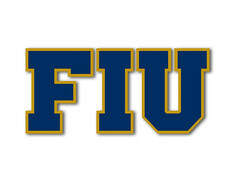 For a program in the midst of the best season in its 16-year history through seven games you wouldn't think FIU needs much motivation from week to week. After all the Panthers have never had a 5-2 record in their existence like they currently enjoy. Still, FIU coach Butch Davis thought why not try something different when it comes to recognizing outstanding performances by the Panthers both on and off the field during this season. Very cool traditions being instituted by Butch and his staff. The culture change in this program so far is palpable and very positive so far.